Making of a Mural: This touching mini-documentary about the development of Best Start Metro LA’s Mobile Mural. The mural is a visual representation of Metro's community-driven Culture of Respect Campaign, an ongoing campaign aimed at reducing family violence. Bridging Borders – In an effort to learn about First 5 LA’s systems change, community capacity building and home visiting efforts, representatives of Choices for Youth in Canada journeyed south to First 5 LA in October to meet with staff. Momma Moments Program Coordinator Jeannie Piercey and Manager of Programs Jill Doyle spent October 16 and 17 engaging with First 5 LA Family Supports, Strategic Partnerships and Communities teams in informative sessions detailing First 5 LA’s work. Choices for Youth works to empower at-risk youth – believing that stable housing, employment, and education are the three key life factors for independence and healthy transitions into adulthood. Currently, they received funding to expand their work across the province, with a focus on working with parents and children and providing wrap-around supports in a trauma-informed approach. 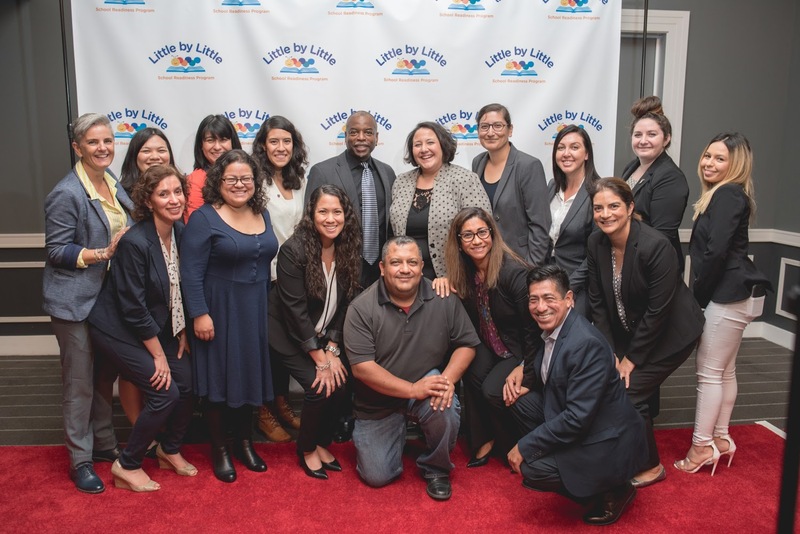 Literacy, Lunch and LeVar: Reading Rainbow host and actor LeVar Burton was the keynote speaker at the Literacy for Life Luncheon, an inaugural event on October 13 hosted by First 5 LA-funded Little by Little School Readiness Program. Little by Little (LBL) is an evidence-based early-literacy program implemented at 10 Women, Infants, and Children (WIC) sites in Los Angeles County. Since 2013, LBL has served more than 161,000 WIC participants, providing age-appropriate handouts on reading and development, high-quality children’s books and more — available in English and Spanish. The event honored past First 5 LA Commissioners Drs. Neal Kaufman and Jonathan Fielding for their leadership and commitment to young children and their families. In attendance were also Cynthia Harding and Dr. Marlene Zepeda, past and current First 5 LA Commissioners, respectively. First 5 LA Family Supports Director Barbara Andrade DuBransky remarked on our outstanding partnership and the impact LBL has had on L.A. County. During his keynote, Mr. Burton reflected on his mother’s powerful role in his life as she encouraged reading and education. She led by example by pursuing her own ambitions as a teacher and later social worker. First 5 LA Family Supports program officer Christine Tran told Mr. Burton how much Reading Rainbow meant to her growing up, particularly as an English Language Learner, child of Vietnamese Boat People Refugees, and former WIC baby. 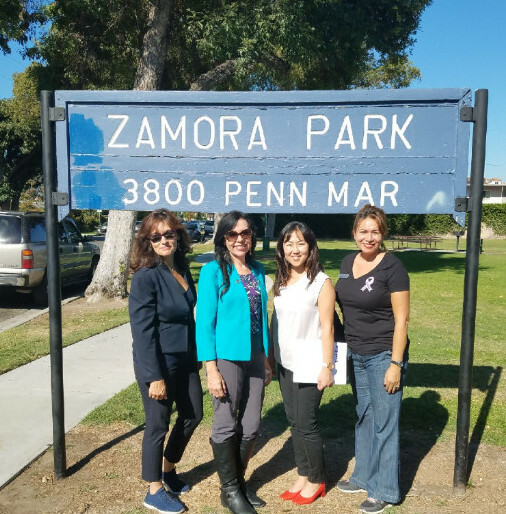 Parks, People and the Power of Change: First 5 LA Communities Program Officer Debbie Sheen along with two staffers from El Monte Parks and Recreation hosted Assemblywoman Blanca E. Rubio (D-Baldwin Park) on October 5 for a tour of El Monte's Zamora Park. The park drew the Assemblywoman's interest after she learned of Best Start South El Monte/El Monte Community leadership’s advocacy for this park's improvement with city officials. Rubio was impressed by the parents’ work, and said that it’s helpful for her when parent-constituents testify or share their thoughts on policies affecting their children. Zamora Park also recently drew the attention of the state Natural Resources Agency, and is a finalist in the Urban Greening Grant Program. 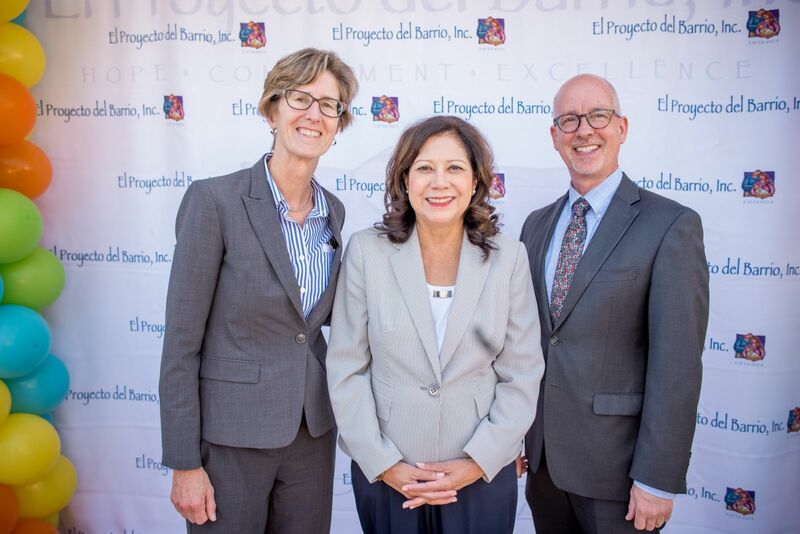 Open for Learning: First 5 LA Executive Director Kim Belshé provided remarks earlier this month for the grand opening of the Hilda L. Solis Early Learning Center in East L.A. The center will be focused on preschoolers with special needs, and the bilingual event was designed to reach local parents. “I want to take a moment to recognize and celebrate the strength of parents who are ensuring their children are not just successful in kindergarten, but in life,” Kim said in her remarks. First 5 LA grantee El Proyecto del Barrio will provide the preschool services for the center. 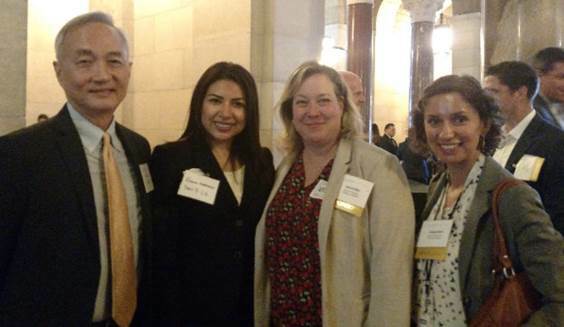 ACCESS-ing Kids: The Los Angeles Area Chamber of Commerce recently held an ACCESS City Hall LA business mixer — this year’s theme being “Cradle to Career,” where business and workforce development were issues emphasized as critical for the future growth of the city. First 5 LA staff members had a chance to insert and reinforce the message that early investment in children from the prenatal stage to age 5 can build a strong workforce and, therefore, support a robust business future.